The only group with both local and national resources devoted to helping people market products and services to the business community. 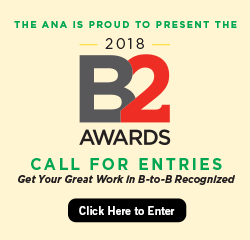 ANA Business Marketing of St. Louis is a non-profit organization focused on helping businesses which market products and services to other businesses stay on the top of their game. In fact, we’re the ONLY organization in the St. Louis area dedicated specifically to this task. At the St. Louis Chapter, we want to give you the opportunity to network with fellow business professionals in a fun and relaxed environment while also helping you to do your job better. To learn more about how to join the St. Louis Chapter, visit our Membership page or contact the Chapter president, Marisa Lather.